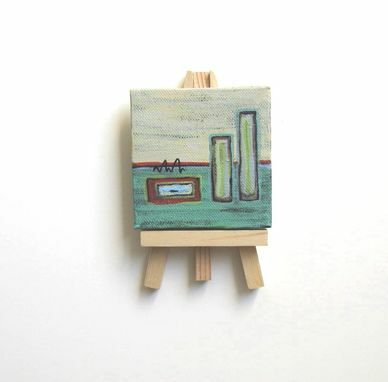 This miniature, abstract painting, is created on a tiny canvas. It is an original and is painted in acrylics..It has been coated with several coats of glossy varnish so a beautiful sheen brings out the textures and layers of colors. 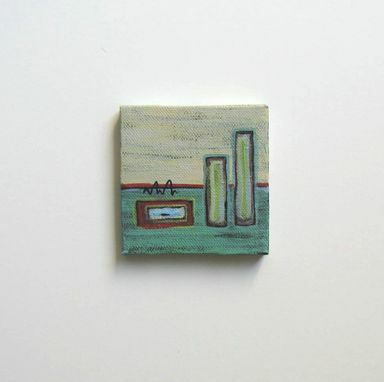 This original measures 3"x3" and is painted on all four sides. The painting comes with the easel shown in the photo. This is a great spot piece. 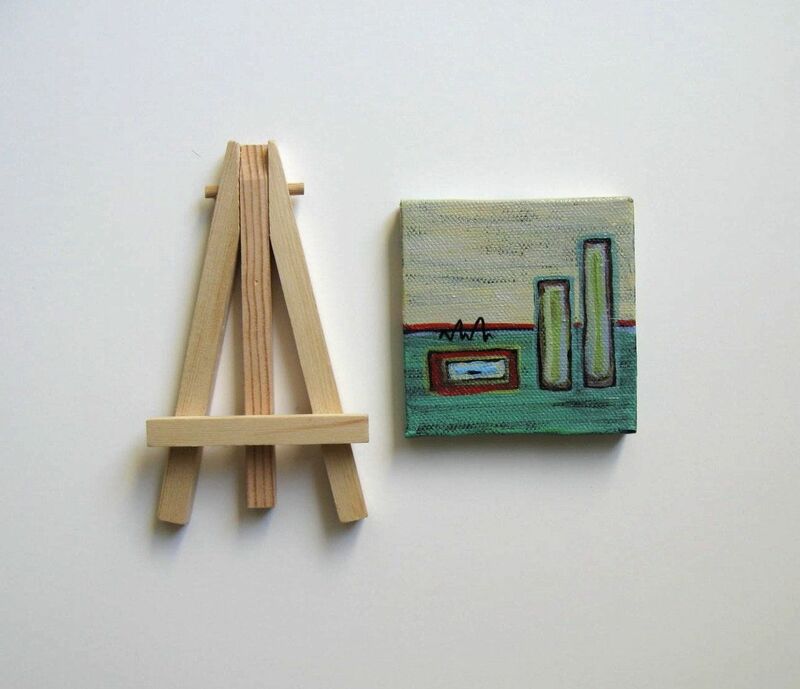 It can sit on a desktop or combined with other pieces to make a wonderful and unique grouping as shown in the thumbnails. The perfect gesture for someone you love!